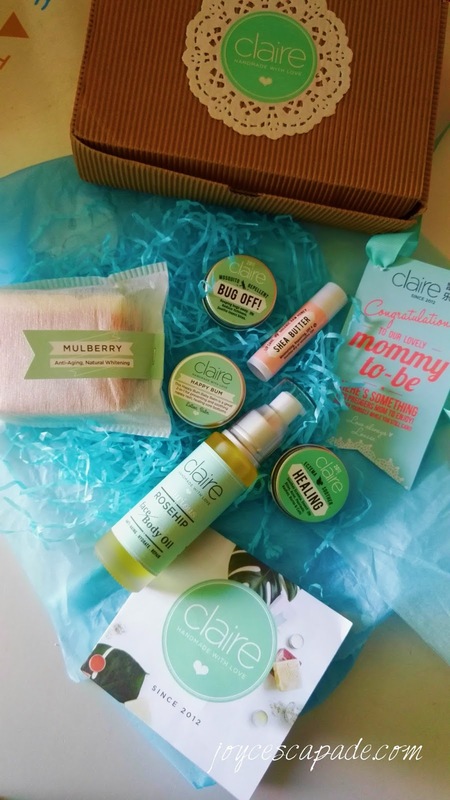 Thanks Claire Organics for sending over this box of wonderful organic skincare products. 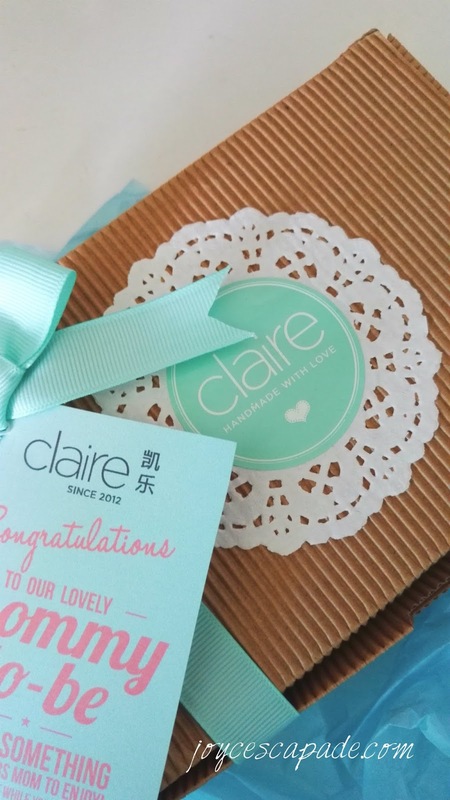 The congratulations gift tag is so lovely too. Thank you! Quoting the founder of Claire Organics, gorgeous mommy Louise Chu: "It all began with one mother's maternal instinct to provide the best for my baby when it came to skincare products which urged me to learn to make my own bar soaps from breast milk. Then I decided to share these natural handmade soaps and home remedies with everyone else calling it Claire after my baby girl 'Norra Claire' which means 'clear and pure' in French which translates into exactly what the brand stands for." Claire Organics' mission statement: At Claire, we pride ourselves on using only natural ingredients for our products. It's all 100% chemical free, and most of my products are even safe for baby use. We're passionate about inspiring people to become a more caring and kind society, and also one that cares for the environment. I guess, it's like a unique calling, a life's mission. 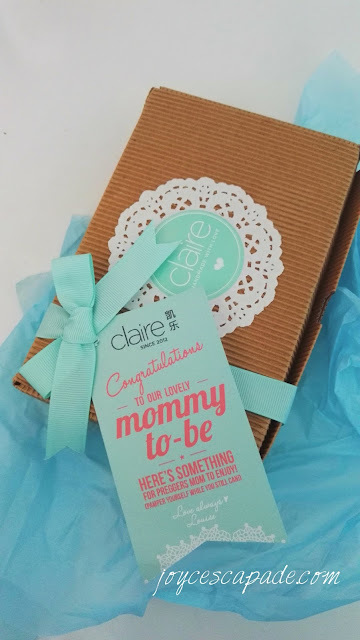 So, let's see what are the products in this gorgeous box for mommies-to-be! Suitable for all skin types. Each bottle is carefully handcrafted and manually packed to retain its quality and freshness. Store in a cool, dry place. 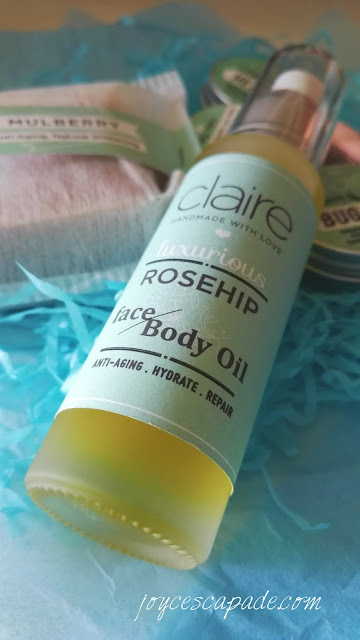 Buy this oil from Claire Organics' online shop. A great facial bar for glowing, flawless skin. Suitable for normal skin. Each bar is manually cut and carefully cured for 45 days. Super-fatted 5% with Sweet Almond Oil (super-fatting makes a rich emollient soap: moisturizing, soothing, softening). Buy this soap from Claire Organics' online shop. Each tube is carefully handmade and manually packed to retain its quality and freshness. 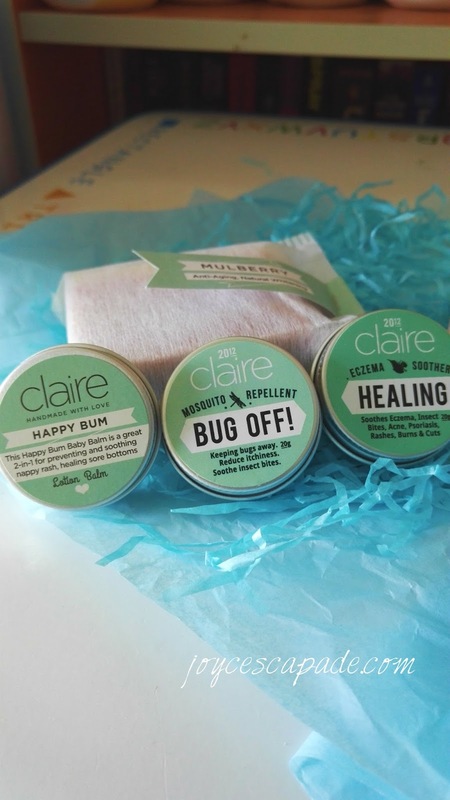 Buy this lip balm from Claire Organics' online shop. Suitable for all skin types. Each balm is carefully handmade and manually packed to retain its quality and freshness. Buy this balm from Claire Organics' online shop. Best for preventing and soothing nappy rash. Suitable for all skin types for babies from birth. Each balm is carefully handmade and manually packed to retain its quality and freshness. Claire Organics is listed on Featured Mommypreneurs on joycescapade.com. SO nice.. 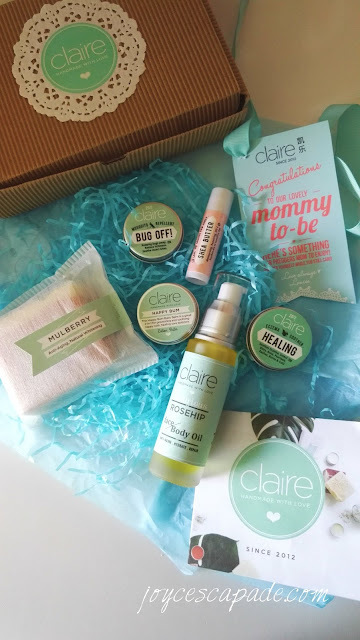 I wanna get pampered with claire organic, too! 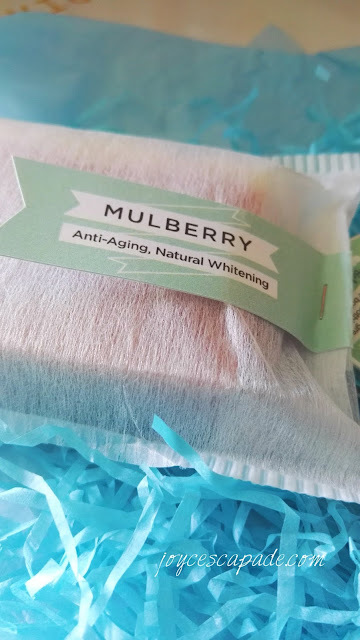 Love unboxing beauty box! 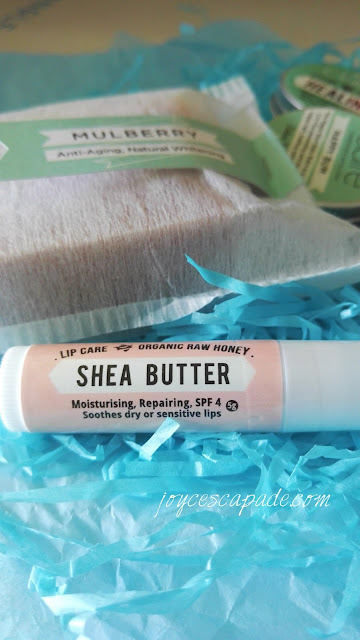 Ah, I really love organic products and have continuously searched for and tried them out. Thanks for recommending this range. I love Claire Organic! Their product is quite famous for handmade products! Definitely a perfect pampering products during the weekend. Wow! Organic products! I have always love everything organic. I hope the price is reasonable. First time heard about this brand!!! I love their packaging!! Nice brand it seems to be! Classy...Wouldn't mind trying..
love their products as it's really organic and naturally made. will check out their new items too! i love organic products and of course i want to find it out too. love their green pastel packaging..
sometimes we all need some sweet pampering. good product to use on oneself.